A fairly cheap, really easy to build, remote controlled door lock, similar to a car door. 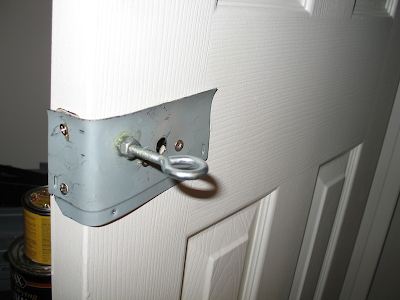 This was a stepping stone for my more complicated electronic doorknob controlled combo lock. 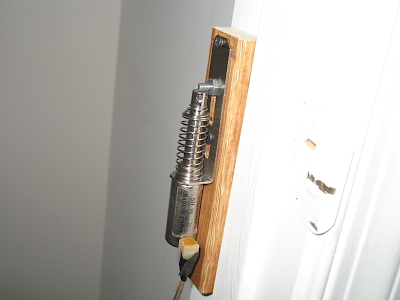 Pretty simple to build, just a solenoid inside the door with an eyebolt mounted to the door itself. The piston from the solenoid fits inside the eye of the bolt allowing the door to be locked in place.